being it was not a truck driving related job is it possible for them to find out this information if you did not tell them. i wonder if putting you quit the job or not even telling them about that job unless you worked there for some time would have changed there decission. It was for a while. How did they found out about your failed drug test if only for a retail job? Told them when they asked what was the reason for the termination. Man I couldn't ask for more. You guys are helping out a lot. Much appreciated. Like old school suggested I'm just Goin to apply to everyone I can think of and see if there is any takers. Also try Western Express.... they are a second chance company from what I have read. I'll have to check them out. The recruiter told me his company's poliCy was 5 years. But didnt say anything about options or dot policy. Thanks for the reply though. Here's the deal. Last spring I was working with a retail company and failed their random drug test. I got terminated because of this. Then rebounded and got another job passed their pre-employment drug screen. Then a few months after decide trucking would give me the opportunity to get back on my feet. 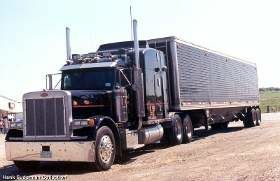 I enrolled in trucking school passing the schools drug screen. Graduated school now got to find a job. Having trouble when companies (2 so far) find out I got fired for a failed drug screen they want nothing to do with me. Wondering if anyone has any suggestions. I live in Ohio. Any type of advice would help. Thanks.